Unicorns seem to have gathered quite the popularity recently so it is no wonder that Lush caught on to this and made a product in the shape of a unicorn horn. Every horn is made to be unique. To me this smelt quite lavender-y in the bag but once it was broken up and in the bath water I didn't find it to be too strongly. Once dissolved I couldn't pin point any particular scent and there was no lingering scent on my skin afterwards. 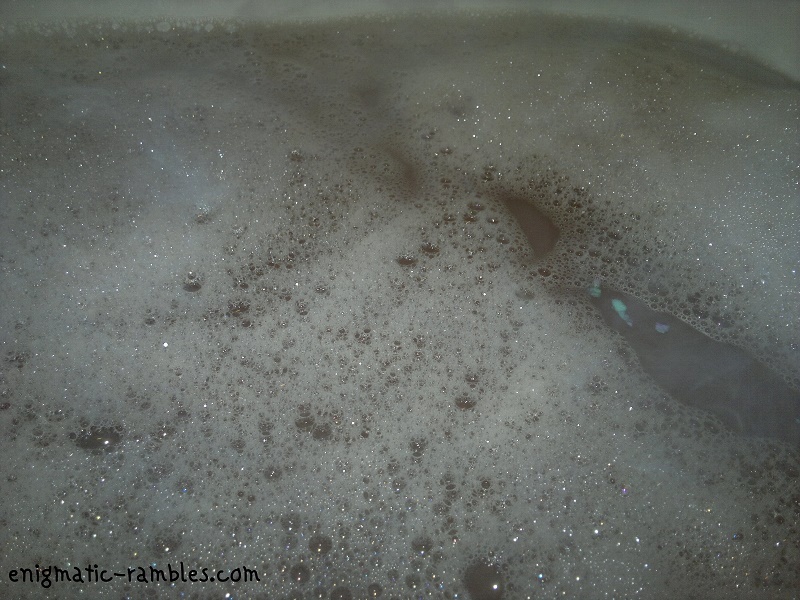 It made the water turn a light pink colour as well as creating quite a few bubbles in the water. There was a bit of lustre in the water but nothing which stuck to myself or the bath afterwards. Unicorn Horn left my skin feeling soft and lightly moisturised, nothing too much but depending on how dry your skin is you may need to moisturise afterwards. Overall I think Unicorn Horn was a bit of a novelty and something I liked to use, but if it wasn't a limited edition it isn't something would repurchase. Perhaps it would be better for someone who was really in to unicorns!